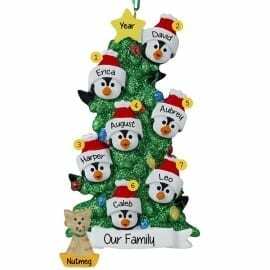 Browse our unique selection of Families with Cats Christmas ornaments! Santa Claws is coming to town! And maybe he will bring a new kitten or shelter cat to the well behaved family to enjoy. 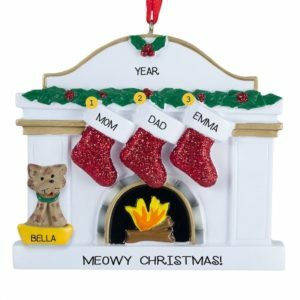 Celebrate the holidays and deck the halls with gifts from Personalized Ornaments For You that reflect the family who love their kitty so very much. There are plenty of styles to choose from as well as materials like resin, glass and handmade salt dough keepsakes. 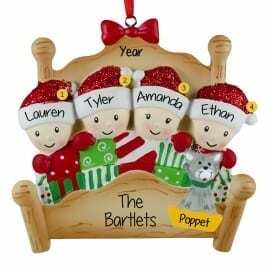 Each one of our stylish collectibles will be hand personalized by one of our trained writers to create a lasting keepsake that the family is sure to treasure for years to come. 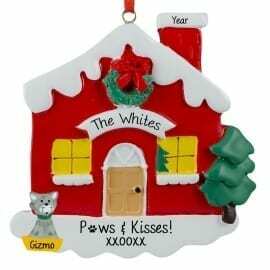 View our entire selection on-line now to find the purr-fect gift for families with cats.